The McDonald’s Corporation recently surveyed 500 CEO’s of Fortune 500 Companies and 500 US Congressmen. Of those 1,000 men and women 90% said that playing a band instrument greatly aided in building their character and leadership skills. When asked if they would encourage their children to pursue music as part of a school’s curriculum, 100% of the congressmen and 98.6% of the businessmen/women said “yes”. 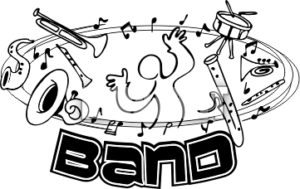 Make a band fee payment or donation to the Pepperell Band Boosters.